The inventory page provides a quick overview of all your products, along with their prices and stock levels. To jump straight to the Edit Channel Entry page for a product, click Edit Entry on the right. You cannot add or remove products from the Inventory screen. 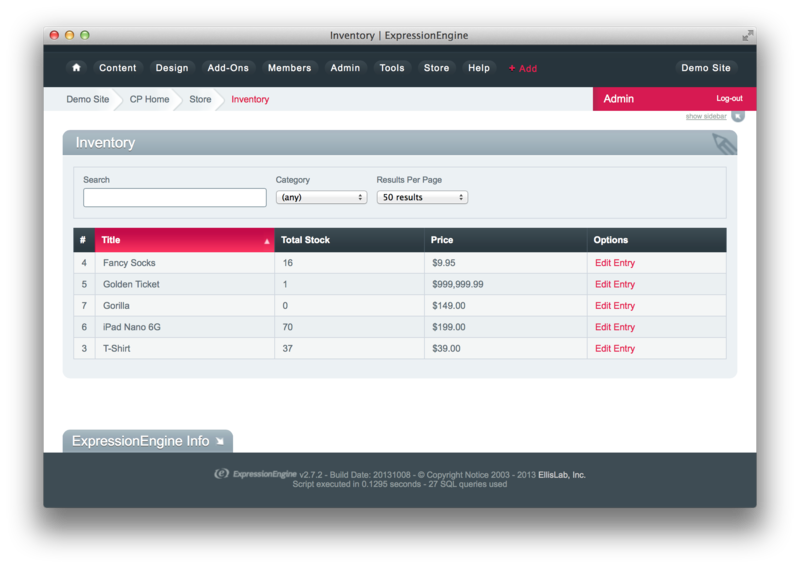 Instead, you should use the standard ExpressionEngine Edit Channel Entries screen for your products channel.